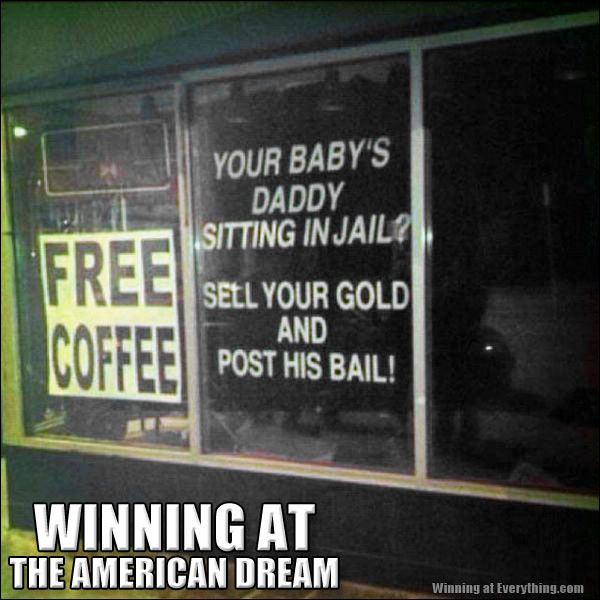 I just go for the free coffee & freak show. Hey now, … isn’t there an admittance fee? Like 5 cents or a quarter? Once again, Yankee Ingenuity triumphs. Cause only black people drink coffee?? wtf? Only if your policy is to serve only black coffee or you have a belief that black coffee is inferior/superior to lighter colored coffees. Either way, @Monday is a DuShnozzile. Maybe it’s just a teleprompter scrolling L’il Wayne lyrics.